Vickie Y sharing the colors of autumn with you today. For my card, I first used Fire Brick Distress Ink to create a watercolor wash on Bristol Multi-Media cardstock. 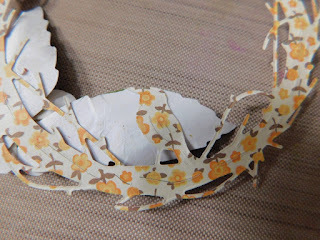 After drying the wash I used a Brick embossing folder to create the texture for the background of my wreath card. (A list of dies used can be found below.) 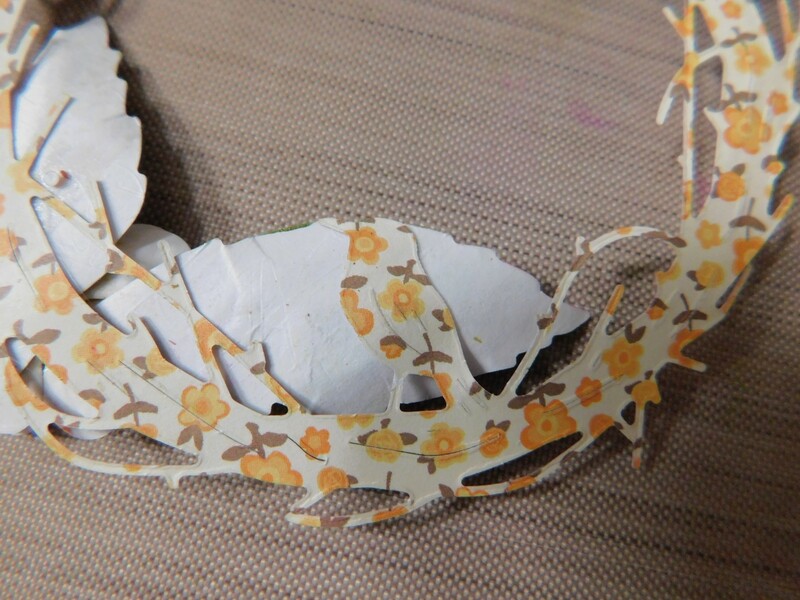 I die cut the wreath from a woodgrain designer paper but omitted die cutting the sentiment, yet left the bird intact to give the leaves some stability as shown on the backside of the wreath below. The wreath was attached to the brick using strips of dimensional tape and then embellished using leaves and a flower (see finished card for placement). To complete the card front I created a double gingham bow embellished with a pearl. I used Prima Sparkle Acrylic paint to give the leaves and flower some shine. The completed brick panel was adhered to a deep purple card base. What a beautiful Fall card, Vickie! Love your beautiful wreath on the brick embossed background. Great creative idea. The twig wreath on the brick wall is so rustic and I love the color of the brick. so different. Oh, and that sweet little gingham bow is the best. What a darling card Vickie! I love brick background against the wreath. The colors on this are fabulous too! 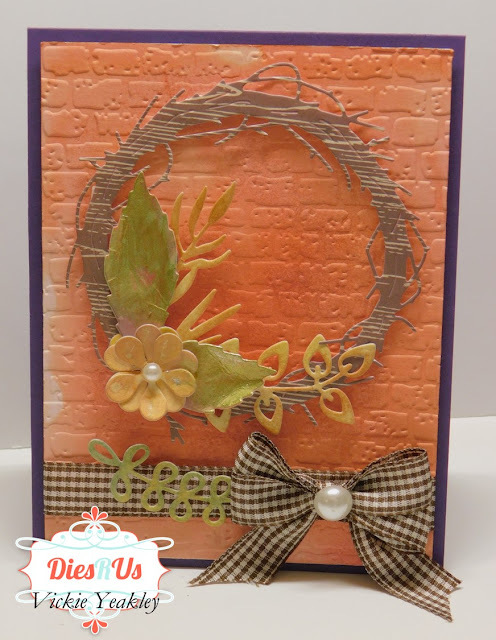 Beautiful wreath card Vickie! What a great use of these dies! Fabulous inspiration ... thanks! Fantastic card, Vickie! Your background looks amazing...love the color and embossed brick. Wow so beautiful card Vickie ! Love this background and this embossed brick ! This is a perfect fall card, I love what you have done with that embossed background and then the wreath. Well done! oh my goodness! I love the brick background and the wreath is awesome!